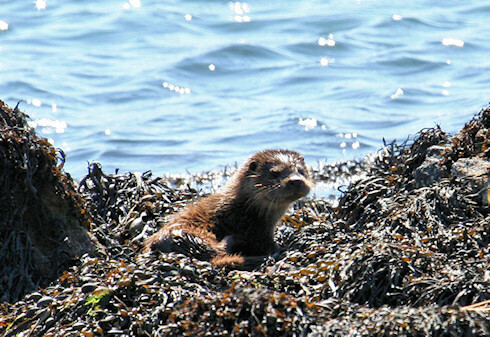 My sister spotted this Otter during our Jura walk from Jura House Gardens to Feolin Ferry in June. Luckily she had her big telephoto lens mounted on her camera, so she was able to take a few nice picture of the Otter doing otter things. It didn't seem to be too bothered by our presence, so we could watch it and take pictures for quite some time. Of course I'll post a larger version (larger as in more than twice as big) on the Islay Pictures photoblog on Saturday morning. Just in case you can't get enough of it. Until then, have a great weekend, may be going Otter spotting?